By Atomia , on 27.6.2012. In July we and many others will be heading to HostingCon in Boston. 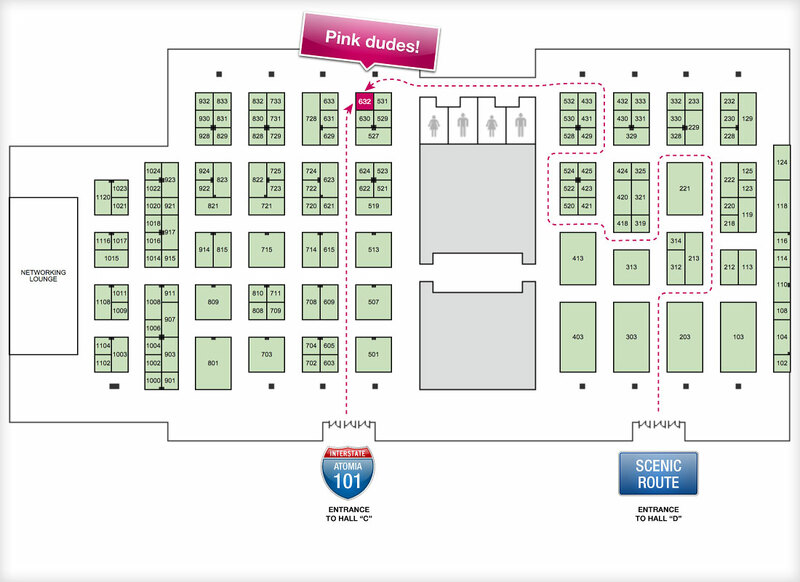 Last year we were a huge hit with our pink shirts and amazing product. The connections that were made are still alive and kicking. For this year some things have changed but the pink shirts stay the same (well, we bought new ones...). By Atomia , on 12.6.2012. We are happy to announce that Atomia Hosting Control Panel now is available in German, and it is just the first of many new translations that will become available this year. Next in line are Dutch, Norwegian and Danish. Atomia Hosting Control Panel is easy to translate and our clients have added their own translations for countries in South America and Europe. With Atomia you can have multiple languages and currencies and target several markets with just one single installation. By Atomia , on 7.6.2012. We have the great pleasure to welcome Magnus Hult as Sales Manager at Atomia. Magnus will be in charge of our sales team and brings a unique set of sales experience to Atomia. When Magnus is not working he likes to spend time with his family and their German shepherd. Magnus have a big interest in sports; he likes skiing and has already established himself as the office soccer geek. We are very happy to have Magnus on board! By Atomia , on 1.6.2012. 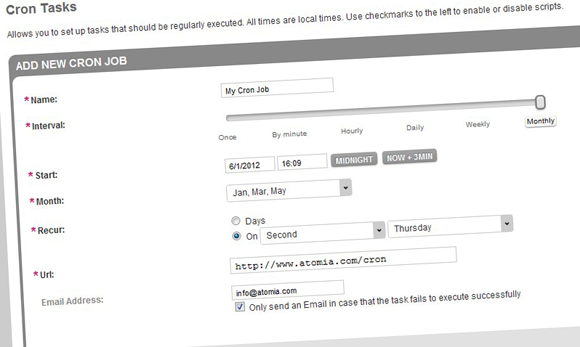 We just wanted to share a screenshot of the coming Cron Job functionality in Atomia Hosting Control Panel. It looks great, doesn’t it? It will be available in the July release to all of our clients. You’ll find the documentation for setting up the Cron Job Agent at: http://documentation.atomia.com/CronAgent/12.6.5/html/ar01s01.html.